State parks highlight diverse and varied natural landscapes, offer family-friendly recreational activities and provide outdoor opportunities to suit the novice to experienced adventurer. Take a break from the daily grind at any one of these close-to-home getaways in New Mexico! Against a backdrop of the arid Caballo Mountains sits the steel blue water of Caballo Lake, a place where water recreation abounds. Activities like boating, kayaking, canoeing, sailing, swimming bring water-lovers to this refreshing spot. Spend the night at one of the campsites, primitive as well as with hookups, and watch the sun rise. Head out for a hike, horseback ride or fishing excursion in the cool of the early morning. Not far from the Santa Fe city vibe is the deep conifer forest of this high mountain park in the Sangre de Cristo range. This state park, New Mexico’s first, is a hiker’s delight, filled with well-maintained trails and spectacular vista points. Winter brings snow and that means snowshoeing, sledding and cross-country skiing. Stay in a yurt or any one of the dozen campsites to extend your stay on the mountain. Open year-round, the park is a magnet for hikers, campers and picnickers. The diversity of Lincoln National Forest in the rugged Sacramento Mountains brings with it opportunities to see the flora and fauna of the unique region. A highlight of a visit is a tour of the park’s namesake’s historic 19-century ranch house. Two trails, the Riparian Nature and Dog Canyon, are time well-spent. 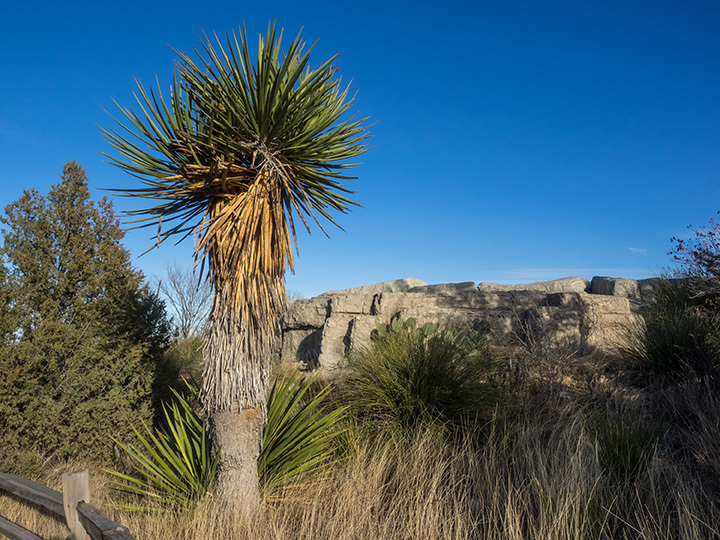 The Chihuahuan Desert is home to this sanctuary for rescued and captive-born animals that cannot be released into the wild, as well as hundreds of species of plants native to the area. The hiking trails take you through desert sand hills, past gypsum deposits, across an arroyo and provide access to the animal exhibits. Camping available. No pets. Accredited by the Association of Zoos and Aquariums. Ever seen an American wigeon or a black phoebe? These migratory birds, and many others, make a pit stop here in winter or summer. This is prime birdwatching territory. Interpretative trails wind through 270 acres of land, through the bosque, a cottonwood forest, along the river, past meadows and wooded areas and farmland full of native grasses, wildflowers and willows. A Nature Center provides hands-on exhibits. If you’re looking for a spot that is quiet and peaceful with few people, this is the place. At 7,400 feet, the hiking trails wind through fragrant pine forests full of wildlife. Birding activities are numerous. This is a small park with about a dozen camping sites, a few with hook-ups. Potable water is available. A lovely get-away on the eastern slope of these picturesque mountains. Do you love being in the water? Lake activities are plentiful and include swimming, kayaking and canoeing, as well as just bobbing around in the summer heat during the day. At night, however, look up into the cosmos for an eye-opening view of the stars. This is a night sky park, complete with observatory that’s open once a month. There’s also camping, a Visitor Center, playground and native plant garden. Fishing is what draws visitors to this tiny oasis of a park in the southwestern part of the state. Cathin’ also happens, since the lake is regularly stocked with rainbow trout. Cottonwoods dot the shoreline and there are several hiking trials around the lake and across shifting sand dunes. With more than 80 species of birds that call this park home, birdwatchers will see a bevy of birds including great blue herons, ring-neck pheasant, quail and western sandpipers year-round. This park, open year-round, is full of things to see and do. Miles of hiking trails traverse much of the 1,100 acres and take visitors past historic mining sites and across the Galisteo Basin with dramatic views of the Sandia, Ortiz, Jemez and Sangre de Cristo mountain ranges. Interpretive information is posted along many of the trails. There’s a herbarium, filled with native plants, educational programs that showcase the history of the area as well as the wildlife and a night sky program that features moon hikes and star parties. Day-use only, no camping. You might just want to get out on the water in a boat at this lake, the second largest in the state. With 150 miles of shoreline and dozens of canyons to explore, it is brimming over with adventure. Take a fishing pole along and you might just snag a smallmouth bass or rainbow trout. Overnight and day use area campsites available. Beach and boat-in camping and option. Hiking, mountain biking, hunting (seasonally) and some of the best fly fishing in the state. View more New Mexico Parks.